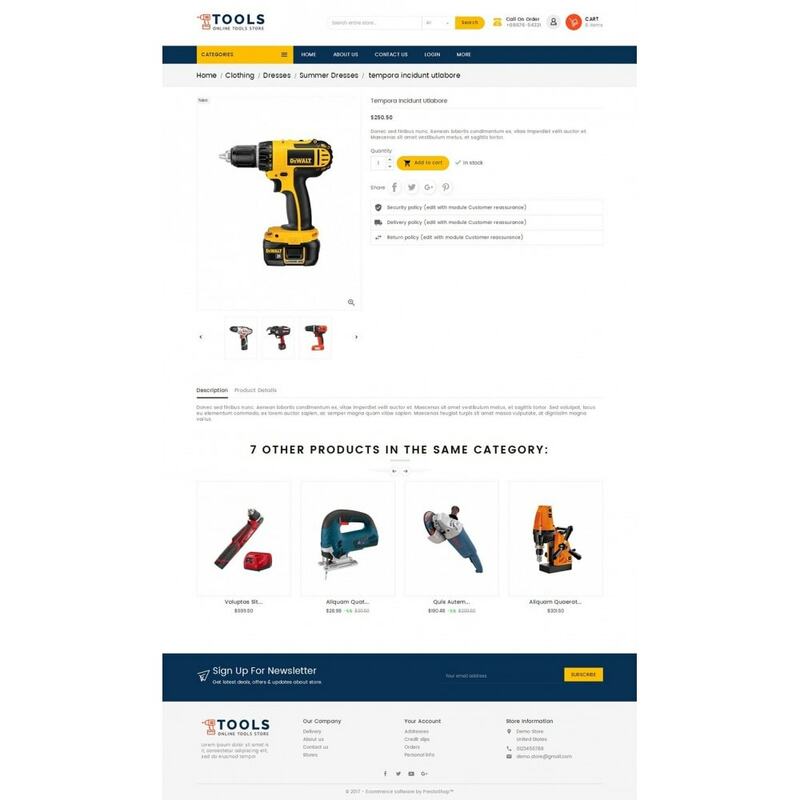 Mega Tools Responsive Theme is designed for tools, electronics, mobile, mega, Auto, Vehicle, sports, games, wheels, Parts, gym, services, Automotive and multi-purpose store. 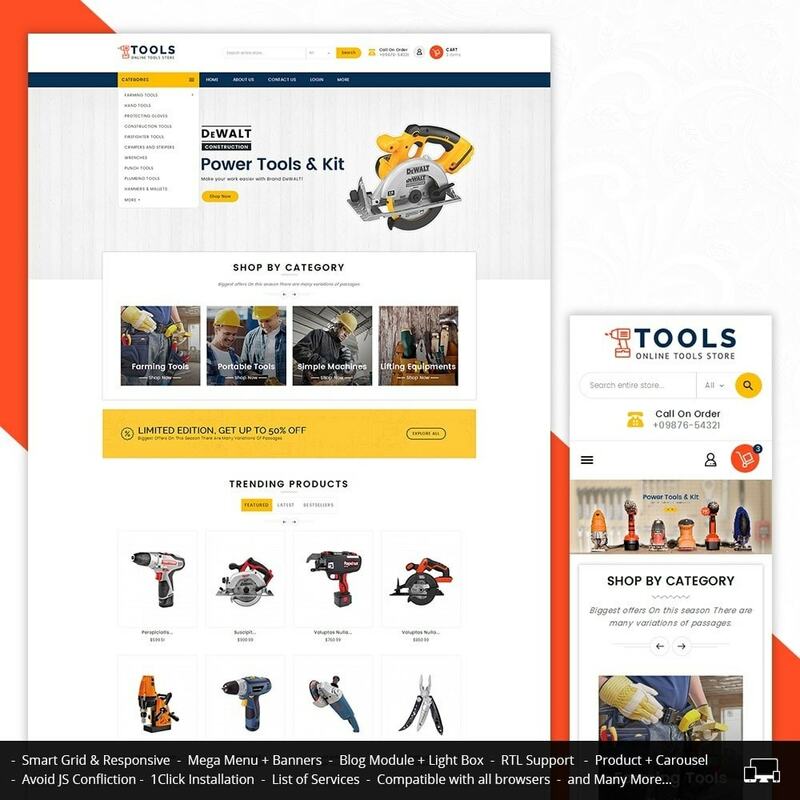 It looks very clean, professional & great color combinations. 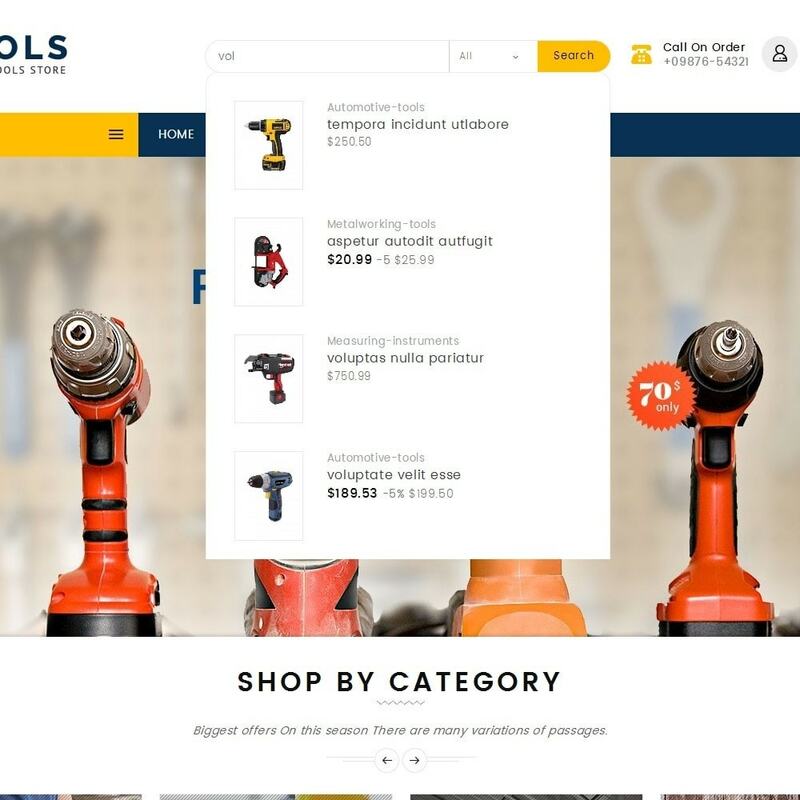 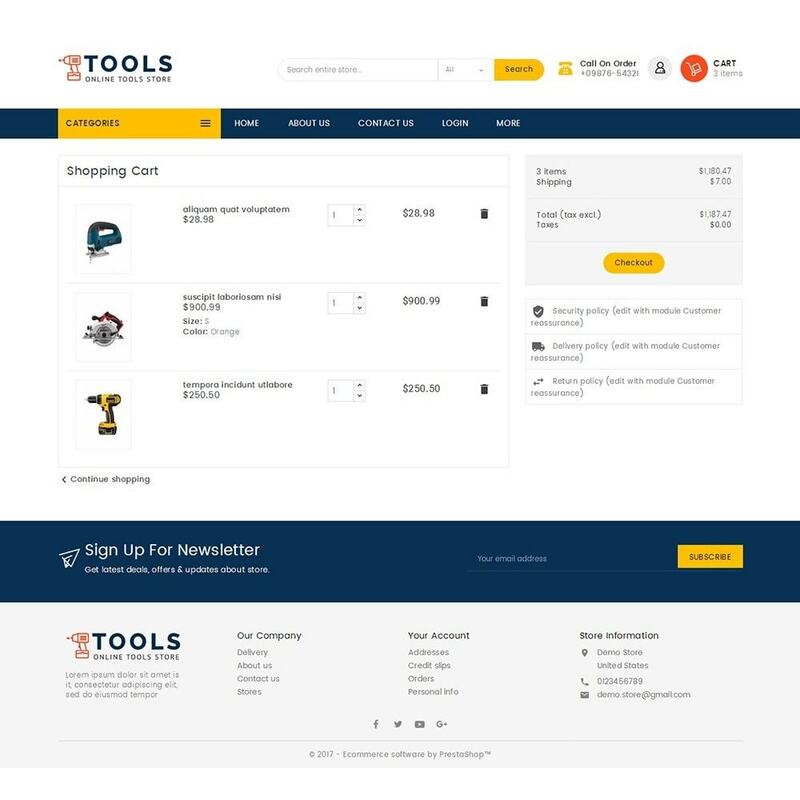 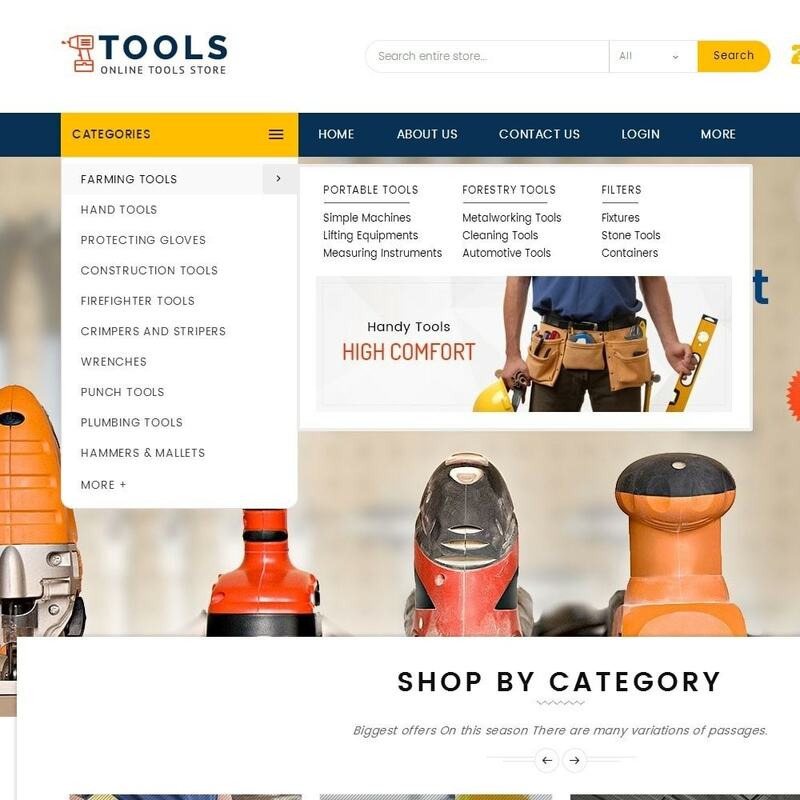 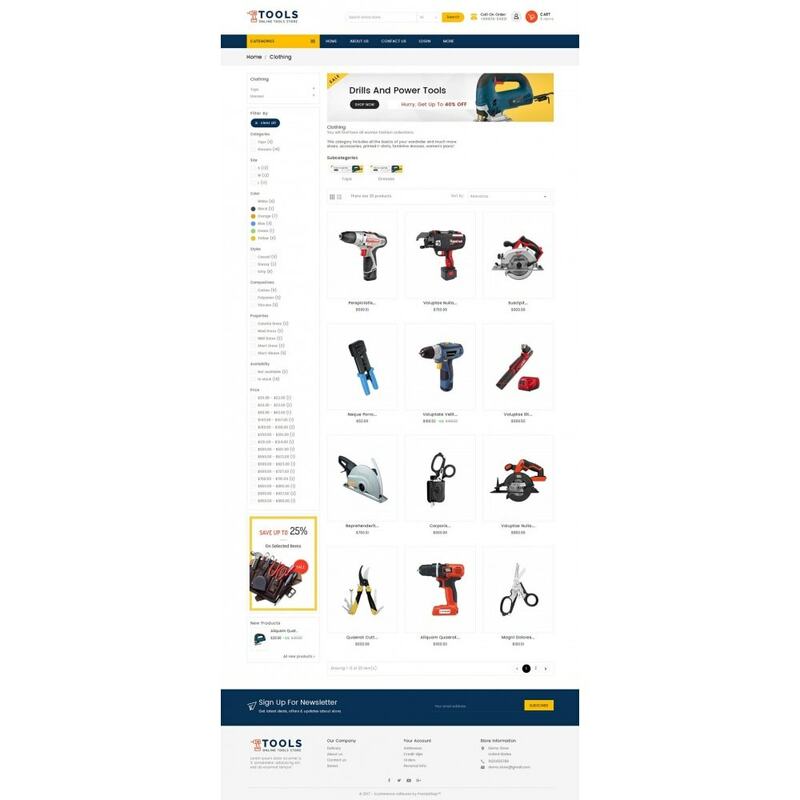 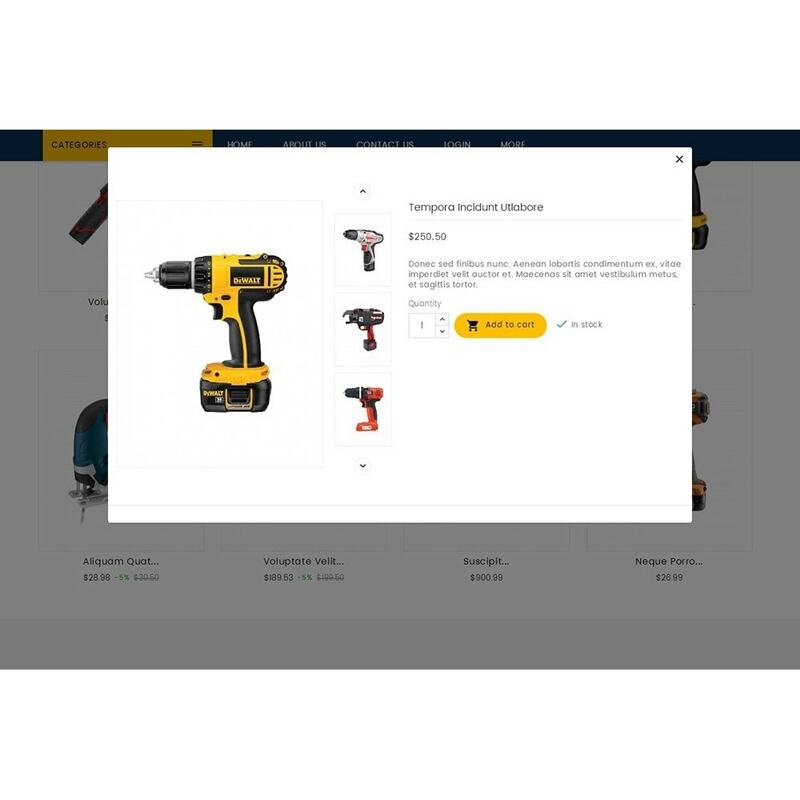 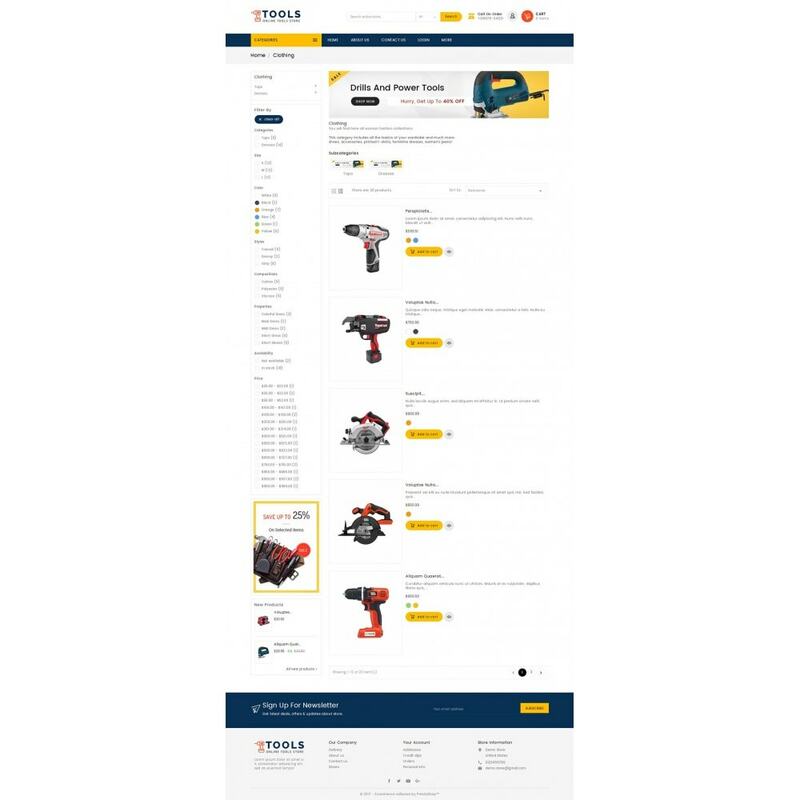 Mega Tools Responsive Theme is specialized for tools, electronics, mobile, mega, Auto, Vehicle, sports, games, wheels, Parts, gym, services, Automotive and multi-purpose store. 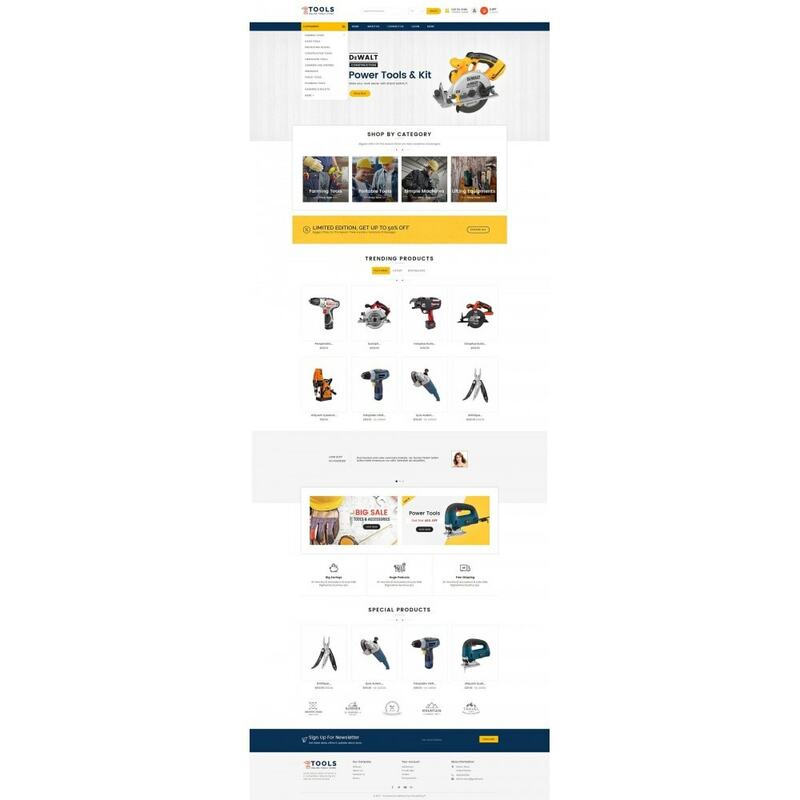 It looks very clean, professional & great color combinations.